The other day I stumbled upon some fabulous fabric flowers on Winter's blog who forwarded me to Courtney's blog for a great video tutorial on how to make them. Needless to say I spent some time this weekend making fabric flowers. And I even manage to put together a card using one of the flowers. This card measures 5x7. Here's a closeup of the flower on the card. I had a great time at the fabric store on Sunday morning. Looking at all of the different fabrics and trying to decide what would look good as a flower. I bought 3/8's of a yard of a few different fabrics that were on sale and then cut them into strips about 3 1/2 inches wide to make my flowers. Some of my flowers got pretty big so I think I'll try making some with a thinner strip of fabric. 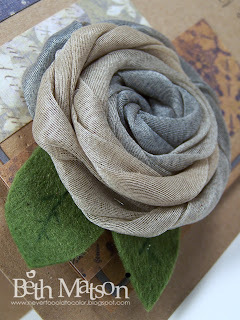 The burlap flower was fun to make but it's really bulky so I thinking it will end up on some type of altered project. . . gift box or bag or basket or barrette. . . . so many possibilities. Thanks so much for stopping. I hope you all had a wonderful weekend. p.s. 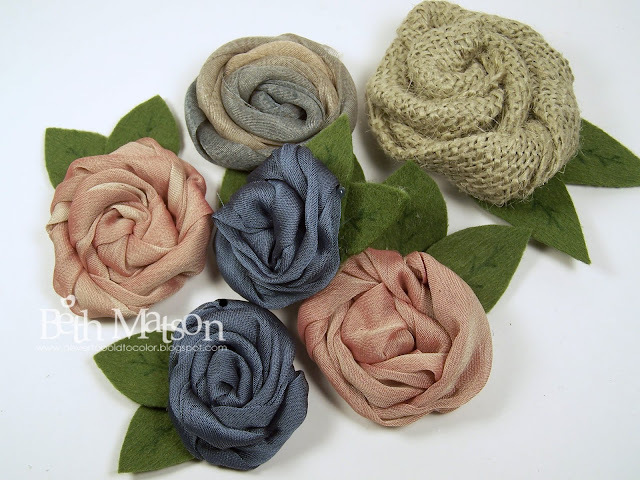 If you make any fabric flowers, please leave me a link so I can check them out. How gorgeous and what a fun project. WOW these are fantastic. I think sewing them really made them look much cleaner! Great job, glad you could use the video! The flowers are awesome!!! Great card. These are divalicious - love them! 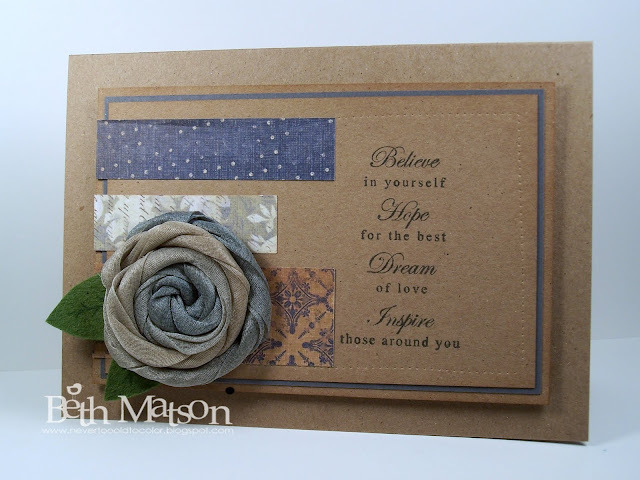 I am so diggin' the burlap flower too, can't wait to see it appear on one of your many awesome altered projects! Pretty flowers - beautiful card!! These Fabric flower looks awesome. I have never seen anything like it. Expecting the procedure to create one in your upcoming blog.